By now, I have reached a state where miracles do not seem to astound me! I am not joking. I am telling this with all sincerity from my heart. 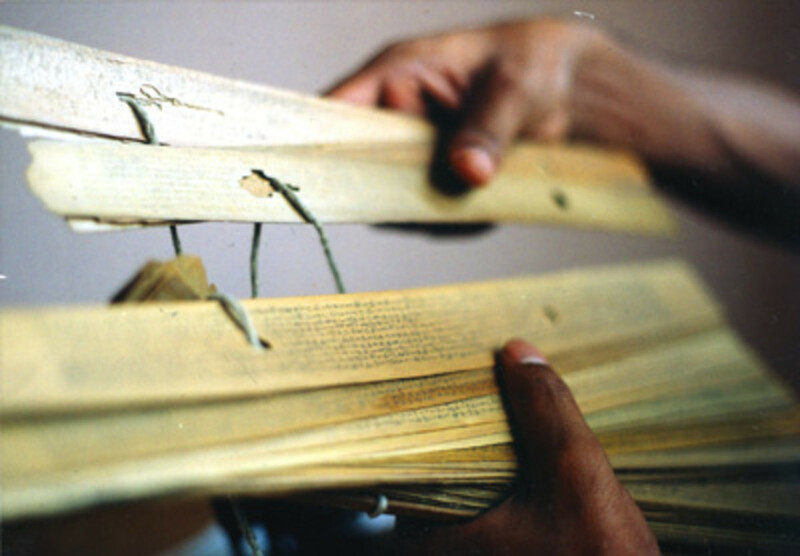 Ever since that photo-signing experience which concluded with profuse vibhuti on that very same picture, years later, there have been occurrences of vibhuti at home quite regularly. In fact, I heard from so many devotees about vibhuti and other manifestations of grace. The frequency and regularity with which they are occurring seems to be growing around the globe! And so, today when my father called me in a hushed tone, I think something had gone wrong. 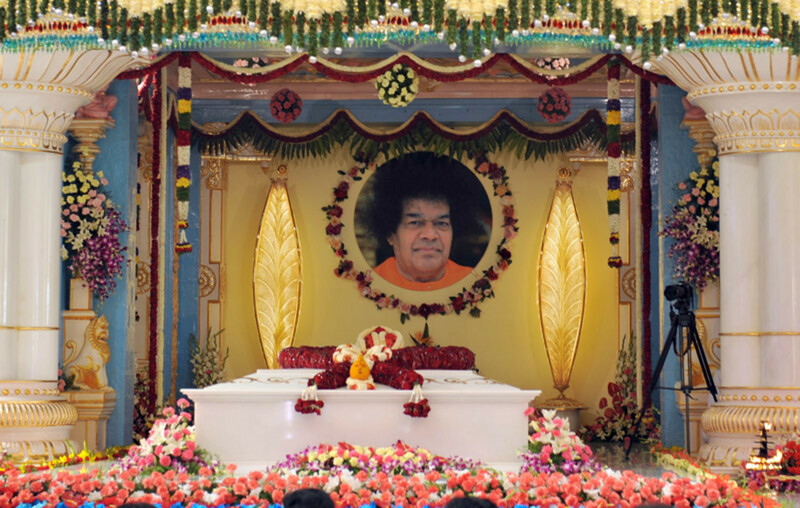 The summer course in Indian culture and spirituality has begun in Prasanthi Nilayam and students from all the campuses of the Institute have gathered here.They are being treated to a sumptuous spiritual feast and Swami fills every moment in their day. Having prepared a video for them to watch in one of the sessions, I was settling into work at studio, when the call came. It was my father. 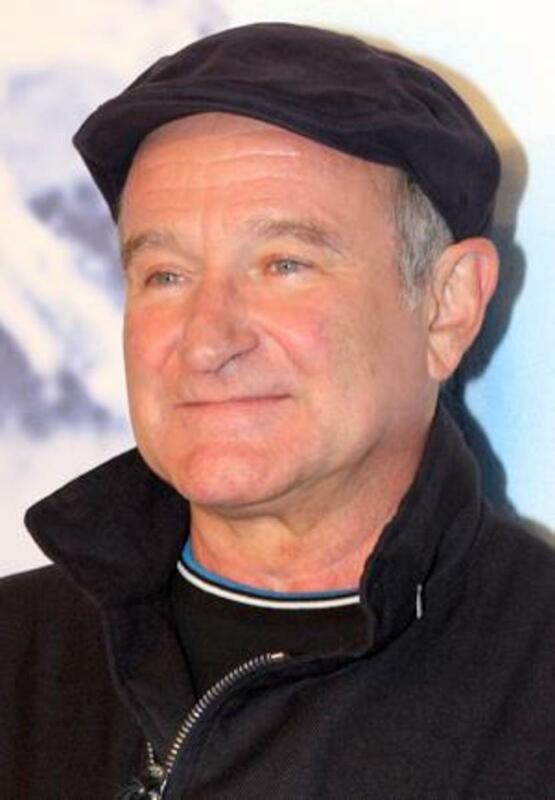 I had heard him in such a shaken state only when he had a heart attack a couple of years ago. I got a bit scared. The next minute I was on my bike racing towards home. My mother and wife were still at the bhajans in the mandir. My father opened the door. 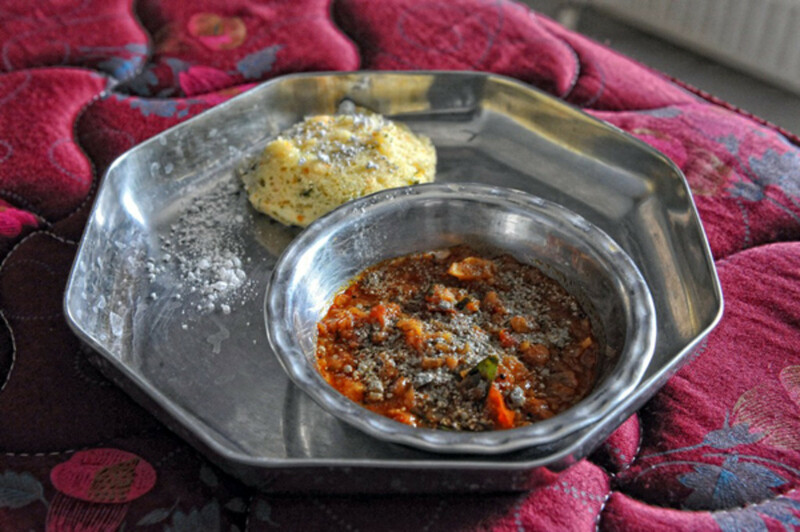 He said that he saw ants coming to the rava idlis kept in the kitchen when his mind immediately went to the breakfast offering kept in the shrine. 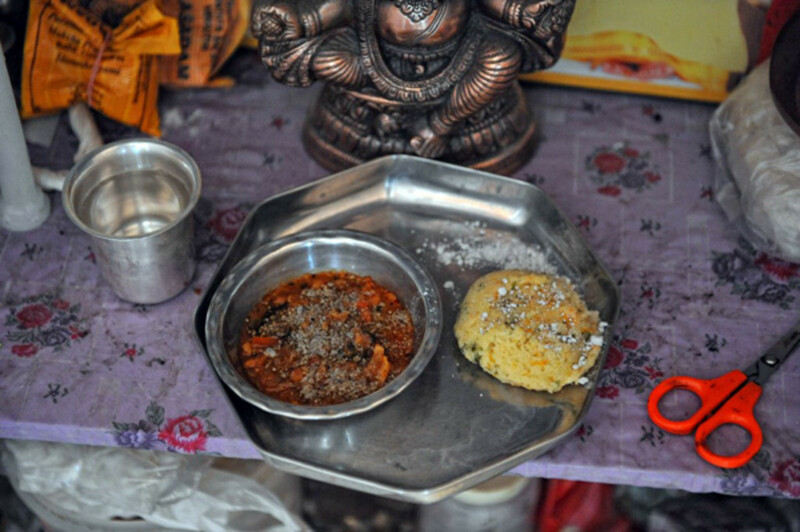 He thought that there might be ants on the rava idly kept there for Swami too. And he had gone to the shrine. 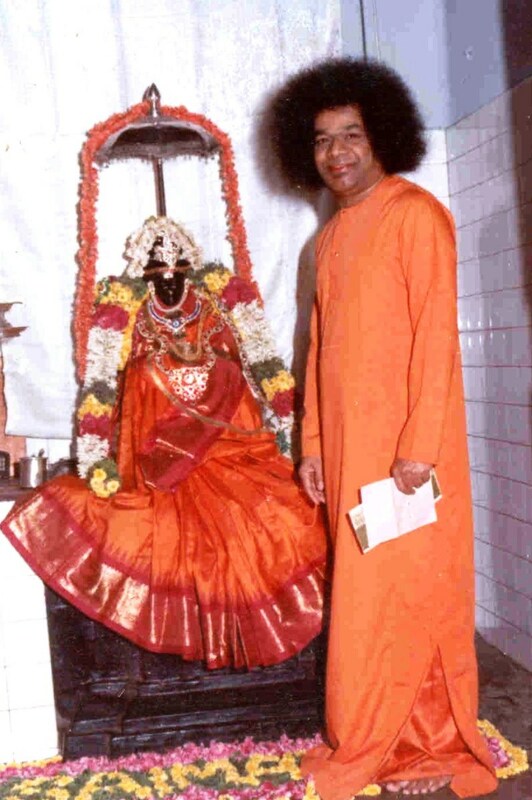 There, he saw that the flower kept on Swami’s photograph had fallen about a meter away from the shrine. Amazed, as he bent down to pick it, he was pleasantly shocked. There was copious amounts of vibhuti in Swami’s plate. Overjoyed, he had called me. I saw the vibhuti. I was happy no doubt but the thrill was not as much as it was when vibhuti came the first time. It was more of love and gratitude surging in my heart. When I had cried that He had left me, He showed that He was closer to us than we thought. When I was down and sorrowful on 24th April, the 1st anniversary of the Mahasamadhi, He had shown me that it was the day of homecoming. But today, I had been perfectly fine and normal. I was in no ‘need’ of reassurance. And yet, He had simply showered. 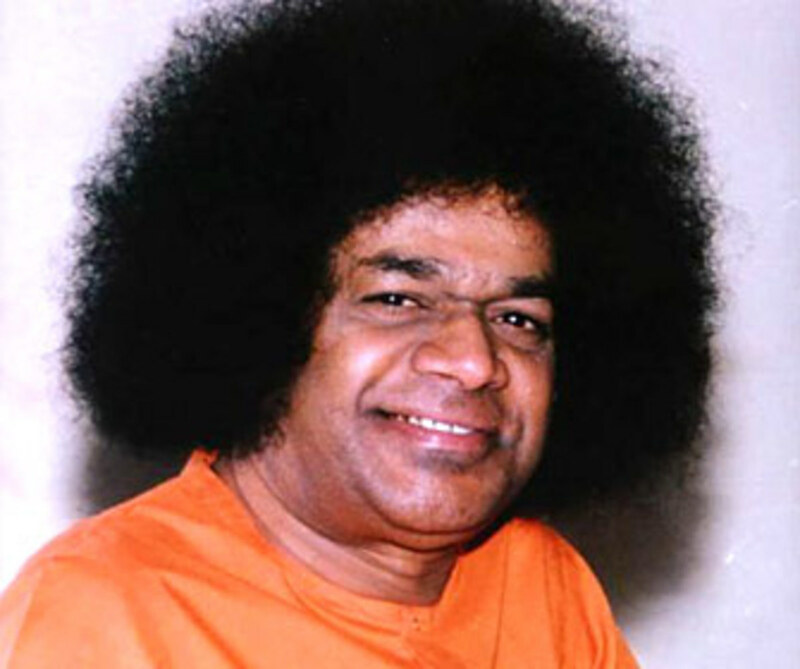 There were days when I foolishly believed that Swami blessed us because we were special. Today I realize that is totally wrong. Swami blesses all of us because He is so special. He is uniquely special and thank God we have got to know Him and have Him in our lives. I felt overwhelmed. How much Swami loves all of us! He always gives and gives. I got to know about the wonderful dream of Jairo Borjas from Venezuela who has been a Sai Devotee since 1988. Due to his kind of work, he has been an active devotee in Orlando, Colombia, Mexico and Venezuelan Sai Centers holding different positions in the Sai Organization. He has traveled to Puttaparthi several times. In 1997-1998 he stayed in the Ashram for a year as instructed by Swami Himself in interviews. Nowadays he lives in Bogota, Colombia. The cosmic form of Swami is being seen. People from around the globe are reporting miracles. 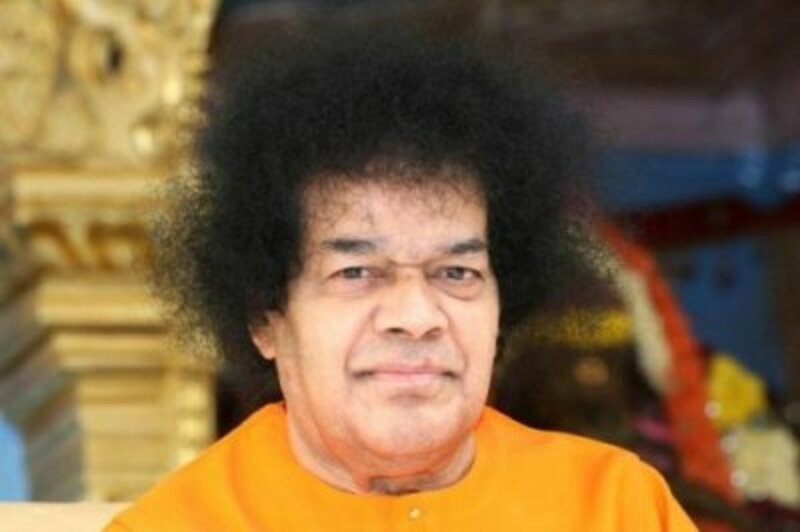 Personally, am in such a state that if anyone tells me that they have vibhuti coming at home or that they have seen Swami in a vision, dream or reality, my jaw no longer drops. I simply accept because I have seen what Swami is capable of. And still, I feel that we have not the slightest idea of what HE IS CAPABLE OF! I am excited and happy. These are wonderful times to be living in. This is an exceptional point in time for humanity and blessed are we that we know that much at least. Sai ram..Thank you brother. You have opened my heart by sharing your heartfelt experiences and make me feel blessed to be reading these articles. Baba has been in my life in my teen years, but I always distance myself. Ignorance I guess..I was just lost. 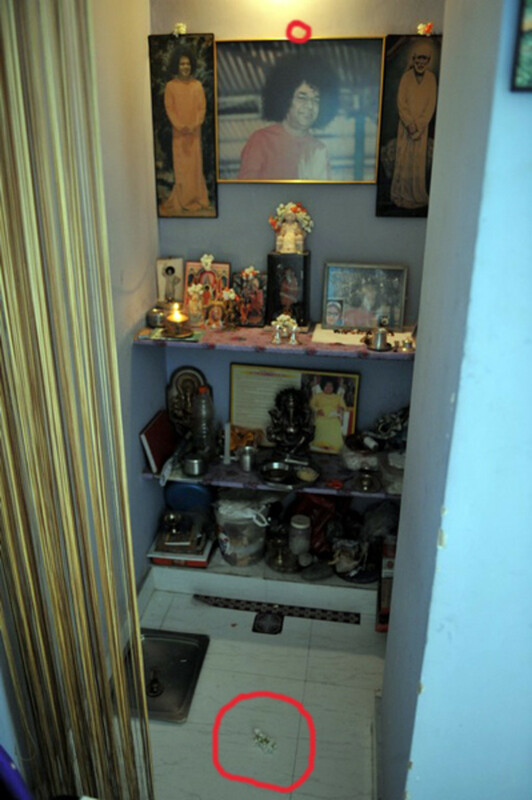 Overtime my relatives invited my family and I for bhajans, sai gatherings functions, prayers. But I never felt the connection yet I felt that I was being pulled towards Him.. When I devote myself in the bhajans when singing I sometimes feel like crying, that I know there is The Supreme but I am forgetting Him and meddling with Maya instead to find peace love and security... Now at the age of 22 I realize devotion, commitment to god is the purpose of our existence..our duty..I pray Baba showers me with Shraddha and Saburi...jai sai ram. your hub reiterated what I told my son yesterday night. On a lighter note....I had the great pleasure to eat food prepared by Aravinds parents (Balu uncle (Father) and Hema Aunty(Mother)) . I wonder how could swami leave the plate as it is. It should have been emptied. What a treat to read and see your article. This has brought me back to reality that Swami has never left us.Thanks for sharing this with the world. What a sumptuous feast, after not accessing my mail for 3 days.Felt full and satisfied. I am sure the food should've been extremely tasty! :) Isn't it amazing for you to know that the five elements around your house are so divine and every second your five senses are purified in that divine atmosphere at home! Jai sai Ram! Thank you for all your blessings. It's great that Swamy is showering his Love to you and your family(and all of us thru ur hubs)via his manifestations.Iam reminded now and compelled to share some more of Swamy's miracles. Swamy in our aunt's house did something of this kind only . He used to partake the offerings and He even used the pen and paper which were placed near his alter to give suggestions and blessings to anyone he liked and at the end autographed it"baba" in his own sweet style. It is not to test Swamy but only to get his blessings that it was kept near his alter. jai SAIRAM. Yes. Sometimes I get comments from people who are neither scientific in their temperament nor humane in their feelings. They simply seem to speak brash to hurt and gain attention. Rather than respond, Swami advised me from within to simply avoid .. Awesome bro! :) Thank you for the beautiful pics. My favourite menu and Swami's too - Rava Idli - Yummy....wonder whether the Rava Idly tasted different after the vibhuti manifestation?